São Jorge is the most central island of the Azores, which originated its volcanology and geological formation, with a long, narrow face and numerous fajãs spread at the bases of the high cliffs. These are small pieces of land that give great particularity and uniqueness to the island, confirming this singularity not only in terms of geodiversity, but also regarding the level of biodiversity and culture. The fajãs have a microclimate that foster demand for these sites for cultivation of several crops, such as coffee, as well as for tourism, as they are ideal spots for rest and relaxation combined with rural living. Due to the isolation of some fajãs and difficult of access, most of the population lives on the hillside, where the climate allows for easier daily living and the development of economic activities, explaining why there are few fajãs with permanent inhabitants. 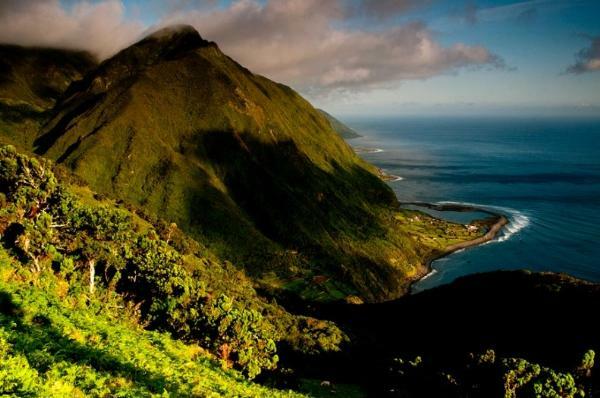 Although the unique nature of São Jorge may be due to the existence of fajãs, one should not overlook the Central Plateau, the highest place on the island, with its wet and cold weather that allow for the development of endemic and indigenous biodiversity of species with high conservation value and research levels.